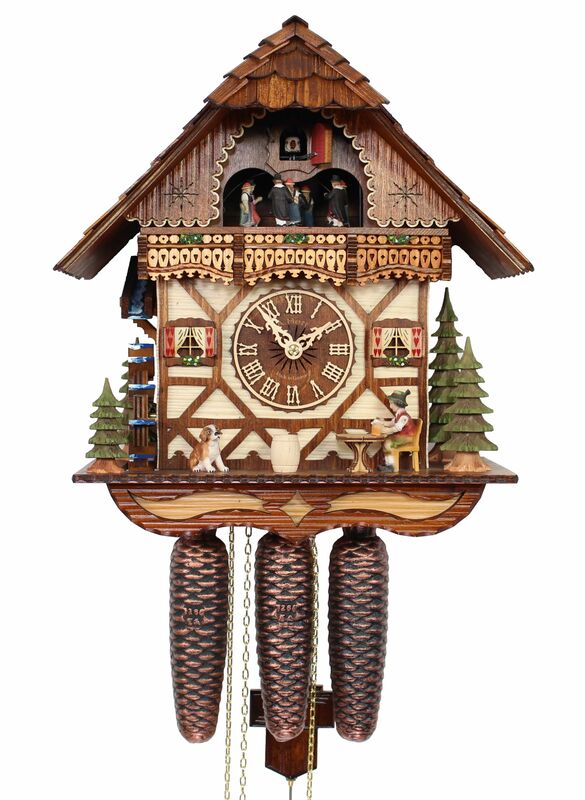 A cuckoo clock with a typical Black Forest half-timbered house with a shingled roof and an intricately designed balcony. 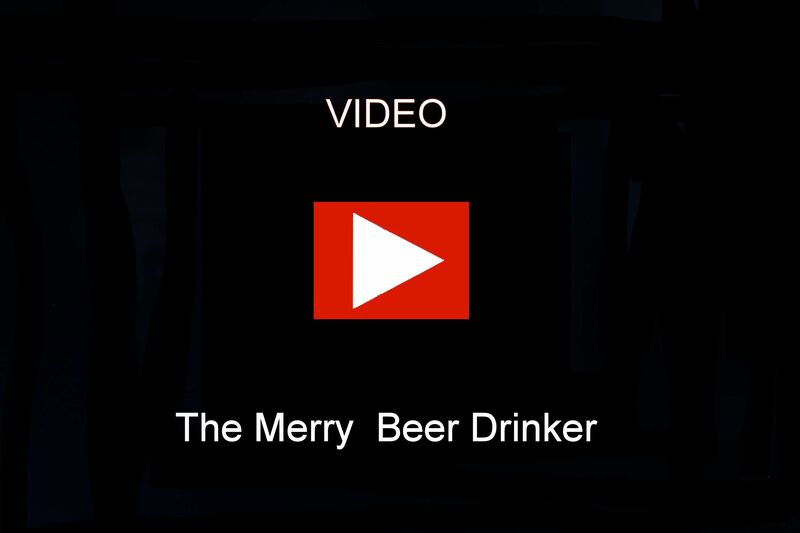 The beer drinker raises his mug in time to the cuckoo call which is once on the half hour and on the full hour according to the time. Two alternating melodies - Edelweiss and Happy Wanderer - play every hour while the water wheel turns and the figurines wearing the Black Forest costume dance around to the music. The clock is personally signed at the back by the manufacturer Adolf Herr. His signature guarantees the experience of 6 generations of clock-workmanship. This clock comes with a certificate of authenticity (AHC). Wooden dial, diameter 3.5 Inches (9 cm), with wooden hands.